Paragon Fire and Security Systems are approved installers of access control systems. We work with leading brands to bring you the very latest in security technologies, including two of the leading manufacturers, ACT and Paxton. 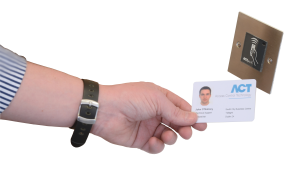 Following a free assessment of your premises, a Paragon access control engineer will discuss your security requirements with you and create a custom designed access control system based on your individual needs. Our assessment includes investigation of the number of people that require access, the number of doors to be covered, the type of premises and contents, the intended hours of operation and any needs for remote access and networking. We offer 3 different types of access control systems to suit every requirement. Our systems are backwards compatible, scalable and flexible. Our networked access control systems are administrated using one or more PC’s and can be monitored and managed from a central location to control multiple doors within a building, or even link several premises via existing LAN/WAN. Our door controllers come as IP, wireless or battery powered. Our cloud based solution using ACT365 does not require a dedicated PC for administration. Our networked access systems offer control features to manage access privileges and report on user movements. Other features include multiple workstations, CCTV and alarm integration and site graphics. Advanced features like timesheet and timeline, Landlord tenant, fire alarm and multi-zone intruder alarm integration, security lockdown, anti-passback and card designer can also be incorporated. 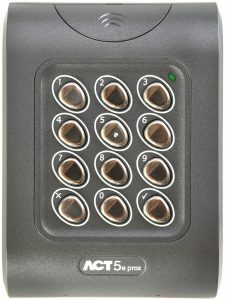 Our door entry system, Net2 Entry, is an advanced cable door entry system with built-in access control capabilities. 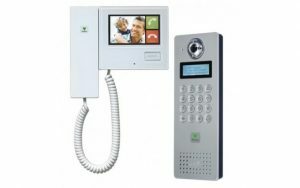 Net2 Entry is a door entry system that works standalone or alongside Net2 access control, combining door entry with the key advanced features of our networked access systems above. Net2 Entry is a scalable solution, allowing expansion of up to a hundred panels and thousands of monitors. Our standalone access control is a non-networked system made up of readers or simple door controllers located at each door. Standalone Systems are administrated via the use of tokens or card packs. We can offer two types of standalone system, Compact and Switch 2. Switch2 is a standalone system that comes as a separate single door controller and reader. The door controller is fitted on the secure side of the door, with the reader fitted on the other side. Switch2 offers a secure solution for customers wishing to control door access, but who do not need reports on users’ movements like those provided by PC based access control systems. Compact is a standalone solution where all the electronics are housed within the reader. Compact is suitable for low security internal doors requiring a cost-effective solution. If you would like to discuss the design and installation of a new access control system, or the enhancement or maintenance of an existing system please contact us. Call us to discuss your Access Control needs on 01483 724484.